While the Libyan National Army has discussed with Russia the possibility of receiving deliveries of Russian weapons under previously concluded contracts, such deliveries are impossible at the moment due to the active UN arms embargo against Libya, the army's Commander Khalifa Haftar told Sputnik Thursday. AR RAJMAH (Sputnik) — Libya has been in a state of turmoil since 2011, when a civil war broke out and its longtime leader Muammar Gaddafi was overthrown. The UN Security Council imposed an arms embargo on Libya in February 2011, after the country became politically unstable. The trade ban requires that all UN member states prevent the sale or supply of arms and all related materiel, including weapons and ammunition, military vehicles and equipment and spare parts, to the country. "We have discussed previously signed contracts with the Russian friends. But, from the practical point of view, the arms embargo is still in force, which makes it difficult to implement these contracts, although they were signed before the UN Security Council adopted the embargo," Haftar said. The administration of US President Donald Trump is still collecting information on the Libyan crisis and has yet to develop its final position on the matter, Khalifa Haftar told Sputnik. "The US administration is now at the stage of gathering information about the political situation in Libya. It seems obvious that the administration has not fully made clear its position yet. 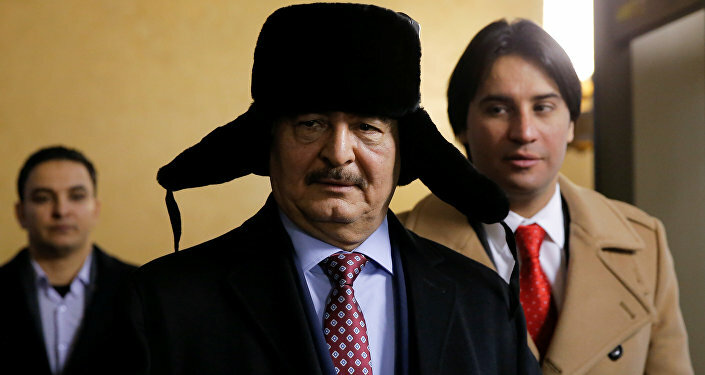 We hope that it will put the demands of the Libyan people as one of its primary goals, and that the Russian Federation and the United States will confront extremists, who try to take the upper hand on the political arena and impose their views on the Libyans," Haftar said. The commander added that he could not evaluate the perspectives of the Russian-US coordination in Libya. 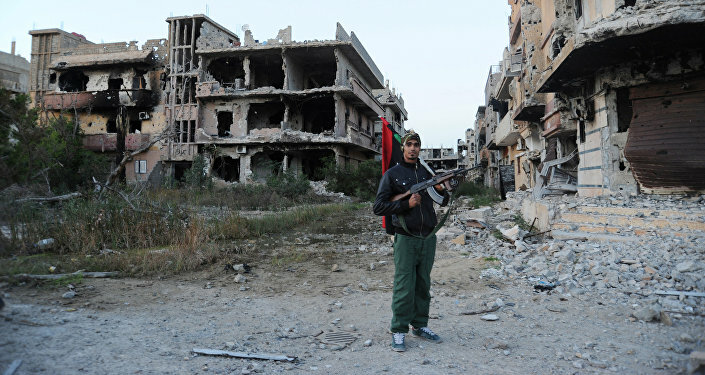 The Libya's eastern regions now are governed by the elected parliament headquartered in the city of Tobruk. The Government of National Accord, formed with the support from the United Nations and Europe and headed by Prime Minister Fayez Sarraj, operates in the country’s west, including the Libyan capital of Tripoli. 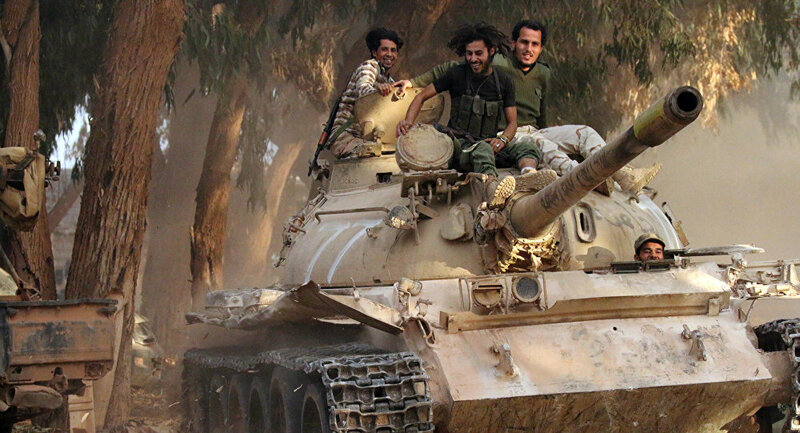 The eastern authorities act independently from the west, cooperating with the Libyan National Army led by Haftar to fight against Islamist terrorists. In June and November 2016, Haftar already visited Russia to meet with Russian Defense Minister Sergei Shoigu, Security Council Secretary Nikolai Patrushev and Foreign Minister Sergey Lavrov. In early January, Haftar visited Russia's Admiral Kuznetsov aircraft carrier and discussed the fight against terrorism in the Middle East during a video conference with Shoigu.